This is how New Aerodinamica has resolved the problem with ad hoc designed extraction systems. 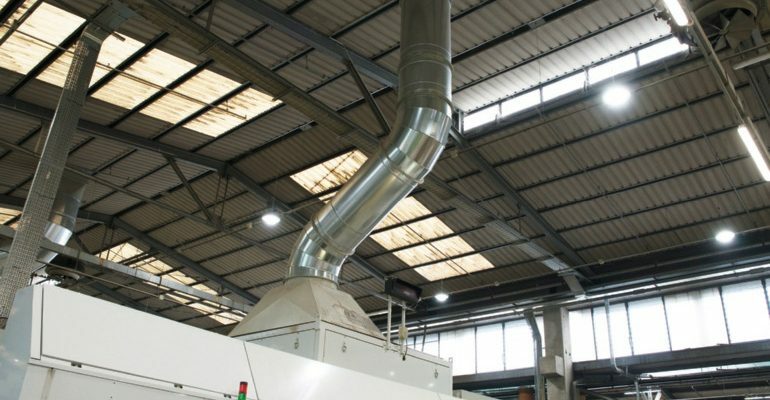 The presence of dust in the machinery and air in DS Smith’s Rosà factory, a multinational specialising in the manufacture of packaging, was causing quality problems in the finished product and a slowdown in productivity. This is how New Aerodinamica has resolved the problem with ad hoc designed extraction systems. 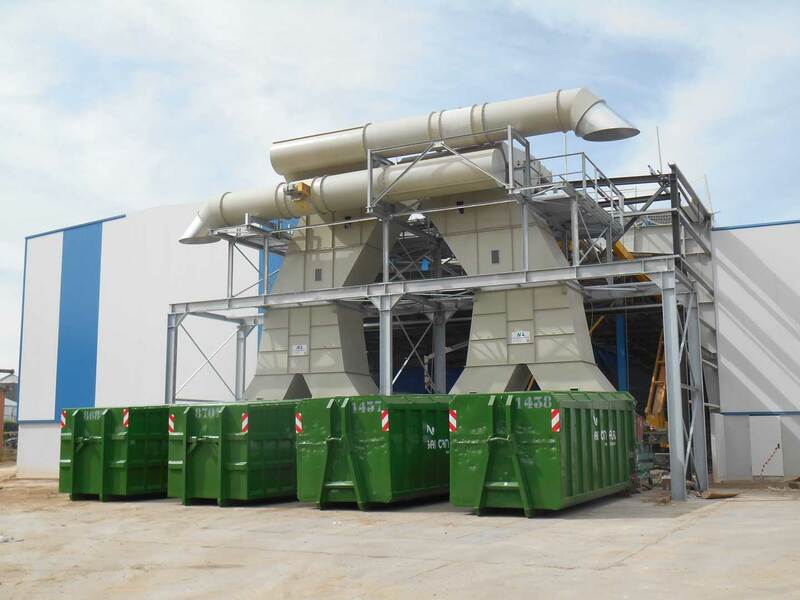 Designing and creating full cycle installations for logistics and pneumatic recovery of process waste in almost every industrial and craft sector. 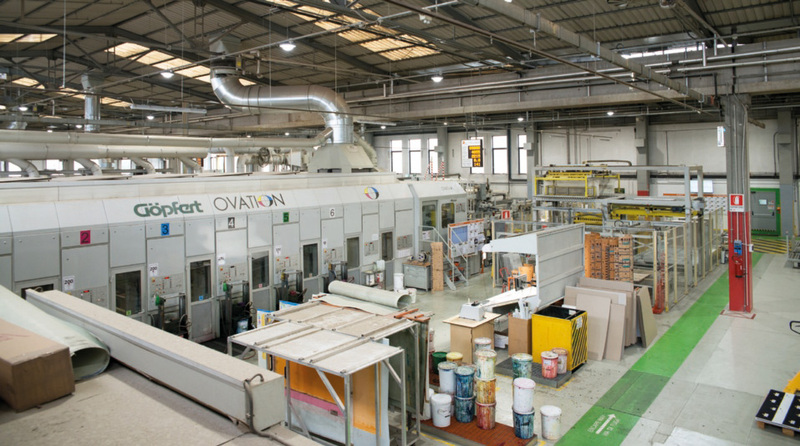 This, for 34 years, has been the business of New Aerodinamica, a company in Casazza (BG) whose major strength is in supplying bespoke and fully customised solutions even for backgrounds characterised by many complex and severe problems. Over the years the company has carried the idea of extraction systems to a more complex level than usual, using simple tubes and fans, providing a combination of technology, quality and performance. Its approach is linear: faced with a client’s problem and objective to be resolved - whether speaking of suction of trimmings, plastic film, paper, dust or swarf -, New Aerodinamica carries out a preliminary analysis and then proceeds to a full-scale feasibility study and to in-depth surveys carried out on site. The next step is the design, carried out with the help of advanced 3D CAD systems with rendered output of the surfaces and realistic simulation of movements. It is an important step, because a good design is the first component towards the next step, an installation which is quick and minimally invasive, so as to hinder ongoing production as little as possible. If these are the good intentions “on paper” of New Aerodinamica, we now see a specific case which bears witness to how these strengths and this methodology are actually applied. The case is that of creating in the Rosà (VI) factory of DS Smith, a multinational specialising in customisable packaging, an ambitious design to construct an extraction system to be installed on the machinery in the plant. The problem that had been dragging on for years within the factory was that of the presence of dust due to the lack of a suitable extraction system. 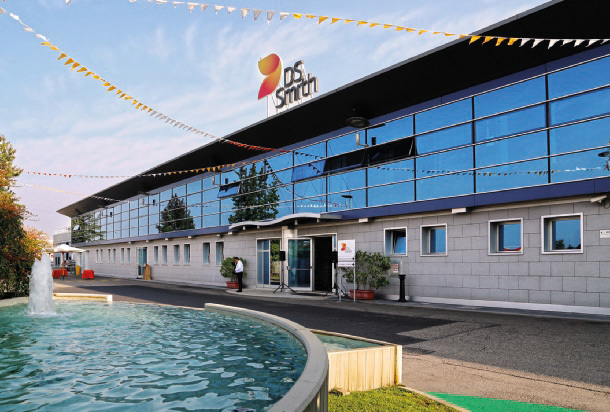 «We have decided», said Alessandro Cebin, general manager of the Rosà and Ferrara factories of DS Smith, «to fully resolve this problem because in the Rosà factory, where we produce packages and carry out printing using flexography and water-based colours, dust was being deposited in the printing blocks and the cleaning cycles necessary to maintain a high quality were reducing the productivity of the machines. There were filtering systems in some of the installations, but evidently they were not sufficient. We approached some companies specialising in the extraction of contaminated air, but the design that New Aerodinamica suggested was the one we were most convinced by, also taking into account their experience of previous successful installations on sites with requirements and needs similar to ours». So let’s see, with Paolo Radaelli, CEO of New Aerodinamica, what the path was which led to the construction of the installation for dust removal throughout the factory. Various packaging lines operate in the factory, like the case makers – which cut, print and fold cardboard to transform into boxes – Martin 1632/618 in four colours and the Bobst 924, a Göpfert rotary die cutter with printing in six colours and the flat bed die cutter with flexo printing in six colours Bobst 1600 and the Bobst FFG 924 line. «Called upon to resolve this long-term problem of DS Smith at Rosà», the manager explains to us, «we made available the knowledge gained in more than thirty years in the packaging world. Given the presence of numerous machines with various extraction points on each one, the complexity of some movements and the volumes of air needed to remove the dust, we opted for a “one to one” solution which involved the ad hoc design of hoods and connections for each individual machine, the design of the piping and installation of ducts and placing clamps and the extraction fan on the roof with the creation of sampling points in accordance with current legislation, the whole fully respecting the company’s space and time frame». Work at the Rosà factory started at the beginning of last year, with the construction of extraction systems on the first four machines, whilst the installation on the fifth was completed recently. Each machine was managed individually because the volumes of air were extremely variable from line to line, with emissions from 16 thousand to 50 thousand cubic metres per hour. «To have just one set of piping», explains Radaelli, «was unthinkable in view of the very high volumes of air, because we would have required over- sized ducts and also the power installed would have had to be considerable. Each individual line has, instead, an independent fan from 2 to 5.5 kW, so that the overall power is less and they can work only when the machine is operating». Hence even the energy optimisation target has been reached. New Aerodinamica has chosen to use drive fans and not directly fixed ones, so as to be able to choose the most suitable transmission without being obliged to have obligatory sizes. 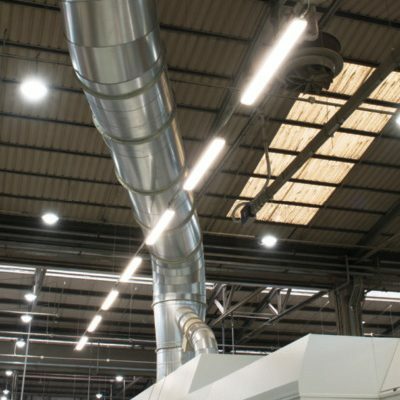 A slightly larger diameter fan duct was also chosen with a lower installed power, because the considerably higher cost of the pipes allowed an energy saving and would therefore pay for itself in a short time. 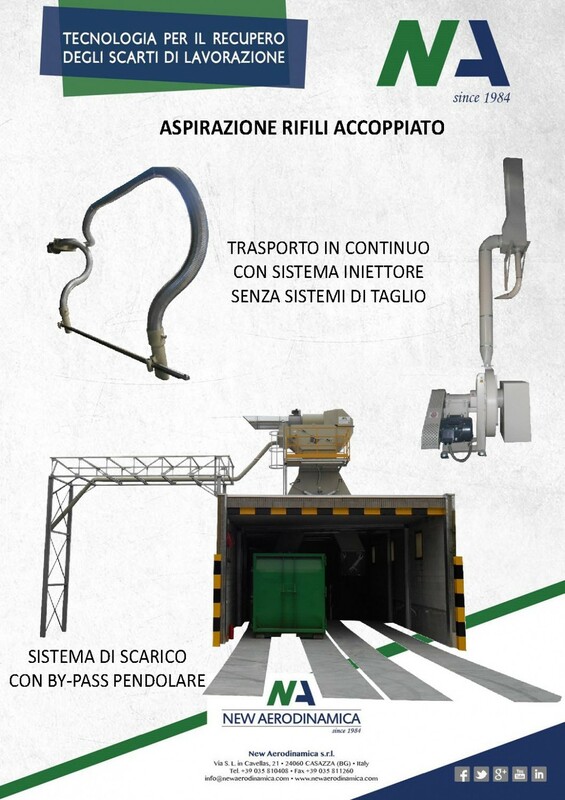 «This choice», explains the manager of New Aerodinamica, «also affects noise emissions, because the larger the diameter of the pipe, the lower the speed of the outgoing air. We ensure that it is always less than ten metres a second, enabling the noise emission to be very low, around 70 decibels.» As mentioned, the design has been completely ad hoc, because each machine could have from two to five extraction points, based on the number of its printing groups. In some instances, the manufacturer’s line had already channelled them together, whilst in other cases he had left them by themselves. For this latter, New Aerodinamica has created for most of the lines - except for the Martin 618 - telescopic boxes for the hoods so that they allow the machines the movement required for them to operate. Despite a step-by-step installation and start- up, positive results could be seen immediately, both from the production point of view and from that of the work environment, considerably reducing the presence of dust in the departments. The objectivity of the environmental analyses can be compared with the subjectivity of the results. «In some machines the fans were linked to a filter bag, whilst in others there was no centralised extraction system, with the result that there was a lot of dust both inside the machine and in the air. Even if the workers cleaned the lines with compressed air, the cleaning was only illusory because they were just moving the dust from one place to another. Our system has the advantage of removing it». «Together with New Aerodinamica», confirms Cebin, «we have chosen to construct a different system for each of the machines, identifying on each line the sensible points for extracting most of the dust, with dedicated collectors on each machine leading to the factory roof. The result has been really good: not only has the internal micro climate benefited, because the extraction of the dusty air has improved the liveability in a factory in which it is difficult to have air conditioning, but the quality of our products has also improved. In addition, we have also noted an increase in productivity because we have reduced the downtime of the machines required to clean the dust off the printing blocks. Amongst other things, we have not had to interrupt production during the various phases of installation, because the excellent work organisation allowed the process to be carried out during breaks and weekends. The overall investment was more than 100 thousand euros, but was worthwhile, having seen the results obtained». DS Smith is a packaging company specialising in packaging which can be customised in accordance with the client’s specifications. It stands out because of its avant-garde design capacity and a widespread presence throughout Europe. Its wide range includes packaging for transport, consumer packaging, display and promotional packaging, customised protective packages and industrial packaging. Its international network of factories guarantees a production of more than ten billion boxes a year. The Group has, in total, 21 thousand employees, 196 factories in 30 countries and produces 3.6 million tons of corrugated cardboard a year (in the photo, one of DS Smith’s Italian sites in Vigasio, in the province of Verona). In DS Smith’s Rosà factory, as well as the dust aspect, work was also carried out on waste extraction on the line. After having replaced part of the transport piping with the new pipes and turns in black painted sheet metal, during the weekend closure the old extractor fan was replaced with the high-performing tearing fan made by New Aerodinamica which, with the same power, guarantees better performance thanks to the sturdy carpentry, reinforced impeller with serrated steel blades mounted and the innovative motor base with shock absorber which reduces the stress on the transmission group, thereby lengthening the time before individual components are worn out. 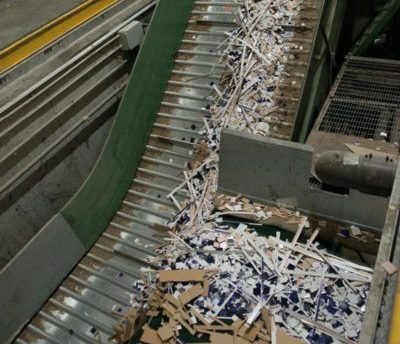 «In the Rosà factory», declares Radaelli, «there are conveyors which collect all the waste for converting, even large sheets, and carry it to a shredder. Just at the output of this machine was their old fan, which we have replaced with our very new tearing fan. Even in this case the result was satisfactory, because, with the same power installed, we have reduced the noise and increased the suction. It was not very easy, because the space available was limited and, above all, the link with the output of the shredder was very narrow. Thanks to our design and working capacity, we have, however, succeeded in customising the fan, adapting it to the installation requirements without affecting its performance. Compared to the previous model, our fan also has the reinforced impeller with cutting blades: a device which has allowed us to further improve its efficiency. In addition, in this operation, the first fifty metres of piping were redone. They were wrongly positioned and used older style pipes, in galvanised sheet metal with flanges. Instead, we suggested and installed special piping, which we have been installing for several years with excellent results, in painted iron with collar and gasket. With this piping we can guarantee a pressure of up to 3 bar, without air or dust leakage from the connections». A good idea, because if there are no leaks, particularly in the long sections, the fan can turn more slowly with all the associated advantages. New Aerodinamica is currently the only installer to use these pipes, which have been popular with the clients who have tried them. 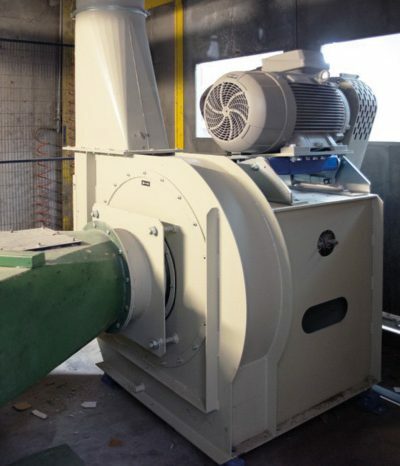 Regarding the tearing fan, on the other hand, it is the first of the new series of these products that New Aerodinamica began developing in the 1970s and which, since then, have been continuously improved. The range has been completely revisited recently, improving the performance. «In this case, also», concludes Cebin, «we have had benefits, since we have noted a notable reduction in energy absorption and a significant reduction in noise. A decidedly satisfactory evaluation of our collaboration with New Aerodinamica». Suction and filtration of scraps, paper, cardboard, aspirators for bobst and die-cutting machines, plastic film vacuums and much more.